The minor in Latin American Studies provides a broad introduction to the politics, society and culture in the Latin American region. The program is ideal for students interested in government, law, business, international relations, medicine, history, ministry and missions. The program has two different components to help you understand the region, and equip you to apply that understanding: first, English-language courses designed to give you a strong grasp of the historical, political and economic realities of nations such as Mexico, Argentina, and Venezuela, and, second, Spanish-language courses intended to develop your ability to communicate in a variety of situations. 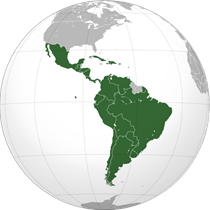 In Latin America: Kings to Presidents you will learn about the political and intellectual history of Latin America from the Spanish conquest up to the present day. In The Political Economy of Latin America you will explore the interaction between political movements and economic policies. In US Foreign Policy you will study the important and sometimes difficult relationship the US maintains with various countries throughout the region. Through all of these courses, you will gain a broad understanding of the region, while also digging deeper into the specifics of individual nations through targeted projects and assignments. The Spanish-language component of the minor is designed to suit your particular language experience and needs. You will take three courses in Spanish, beyond the core language requirement. You can come in as a complete beginner, or jump in at the advanced level, depending on your own mastery of the language. This allows you to get experience at your own level, while developing your language skills in reading, writing and conversation. This minor not only gives you more understanding of a region closely linked to the US and Houston in particular, but also will give you skills that are useful in a variety of careers. Whether the energy sector, law, government or work in the ministry field, a minor in Latin American Studies provides you knowledge and language skills that will help you stand out from the crowd and make a difference.